"Families only." Those who were killed on September 11, 2001 left behind more than family members. They left thousands of friends who are often forgotten and ignored: co-workers, first responders, neighbors and survivors who struggle to find a way to grieve the friends killed when the World Trade Center towers fell. 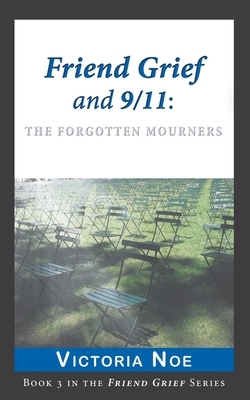 In "Friend Grief and 9/11: The Forgotten Mourners" you'll learn how they adjust to life without their friends and find ways to honor those they lost on a clear, blue Tuesday.